Hey pal, some more reading this month. 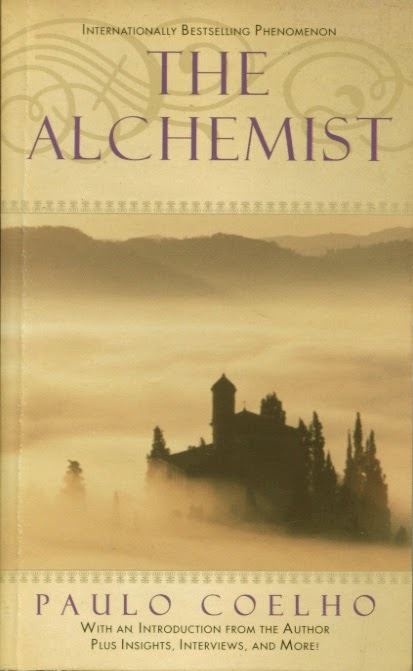 As far as I've known this is a very popular novel that seems inspire a lot of peoples around the world. So I finally grab a copy and read it within 6 hours one day. Hmm, what should I say, it is an attractive, imaginative, inspiring of life and desire, easy reading novel, but not as highly expected than I used to thought of. May be it's what usually happens, if it is an Oscar Award film, you will expect more and, that may distract the outcome as a result. A story about a young shepherd to chase his treasure and dream, a prophet that leads him to leave his familiar homeland to the wild and unpredictable desert, where he met the Alchemist and learn his lessons of life. read this, it will take you there.